• Produce and distribute roughly 60,000 lbs. of fresh, organic produce to the South King County emergency food system, increasing the food security of some of our region’s most vulnerable residents. • Host a field trip program and introduce thousands of pre-k through high school students to hands on organic farming and gardening, nutrition, and environmental stewardship. • Host employment training programs for youth, elders, immigrant and refugee communities, and other groups with higher than average barriers to employment or those experiencing food insecurity. 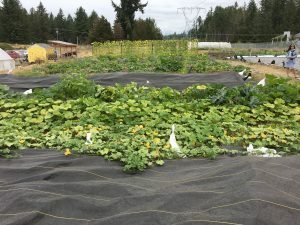 • Introduce elements of local food system economic growth into Kentlake, Kentwood, and the future Tahoma High Schools as well as the community learning center campus planned for the land across the street from the potential farm site. • Improve the public safety of the area in which the farm is located through community stewardship, increased eyes on the property, and community connection with the land. 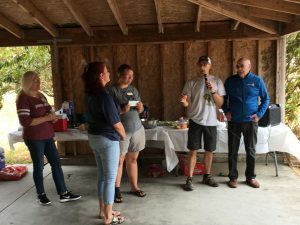 The farm has become a showcase for organic, community based farming, and recently received an award from the King Conservation District and King County Executive (and fellow Rotarian) Dow Constantine for its work. To learn more about the farm and opportunities to support this endeavor please click on the yellow button to be taken to their Facebook page. 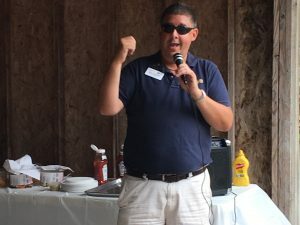 This entry was posted in Community Service, Fellowship, Rotary First Harvest. Bookmark the permalink.